The day I decided I wanted to be happy was the beginning of endless possibilities. Yes, I made a choice! 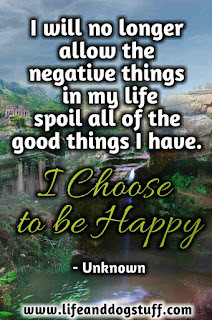 I chose happiness even though I had no idea how to stop being miserable all the time. By choosing happiness I started to fight to feel better and I stopped being depressed. 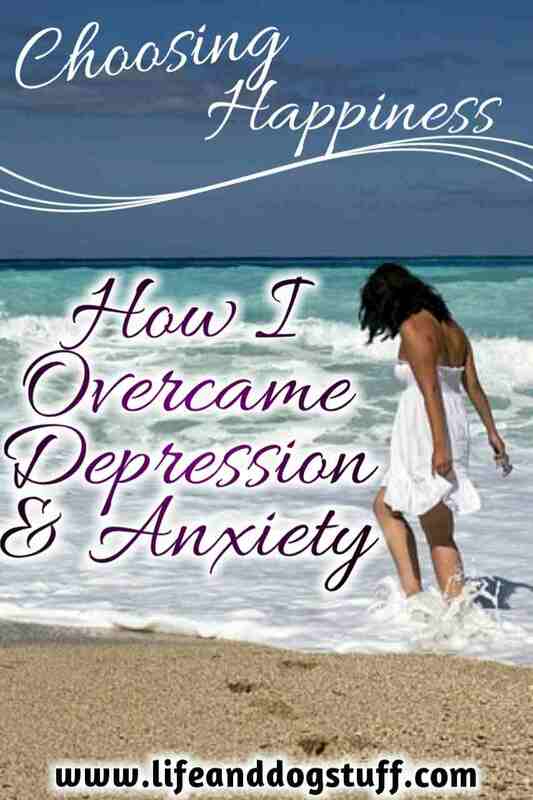 This is my story of how I overcame depression and anxiety without medication or therapy. I'm grateful that I get to share my story with you and I hope that it will help anyone needing a little motivation to not give up. We all deserve to be happy. Looking back at my life, it was not all bad. I remember my last years of high school and when I went to varsity were some of the best years of my life. But when I started my first real job, I fell ill. I had a growth on my thyroid and they had to remove part of it. There was no need for thyroid meds. So they say. But it felt like someone switched off my lights. Years went by and my life stood still. Writing these words are making me emotional, but I have a need to write my story. Those years of my life I can never get back. Those were the years I was supposed to fall in love, get married, have children. Do the things people my age were doing. I started a promising career that never went anywhere because I could not function properly. Today I'm still bombarded by questions about why I don't have all those things. Those people have no idea how hard it was for me and what I went through. Unfortunately choosing happiness does not instantly make you happy. 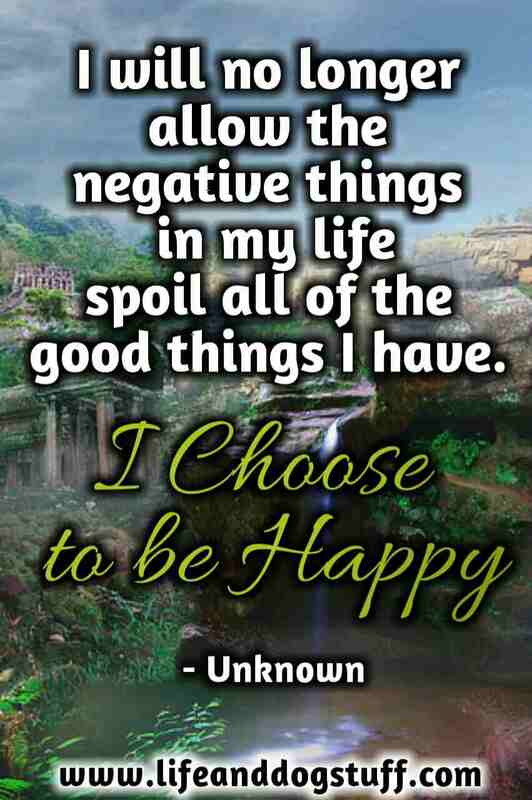 I know there are a lot of people out there that get upset when they hear that being happy is a choice. As someone that knows what depression feels like, to hear those words sound ridiculous when you feel like your world is falling apart. But I've discovered it's not. You need to consistently make the choice. Get up, get help, search for answers, try possible solutions and never give up. Every single day is a choice to fight again. Having something to fight for helps too when you need motivation. 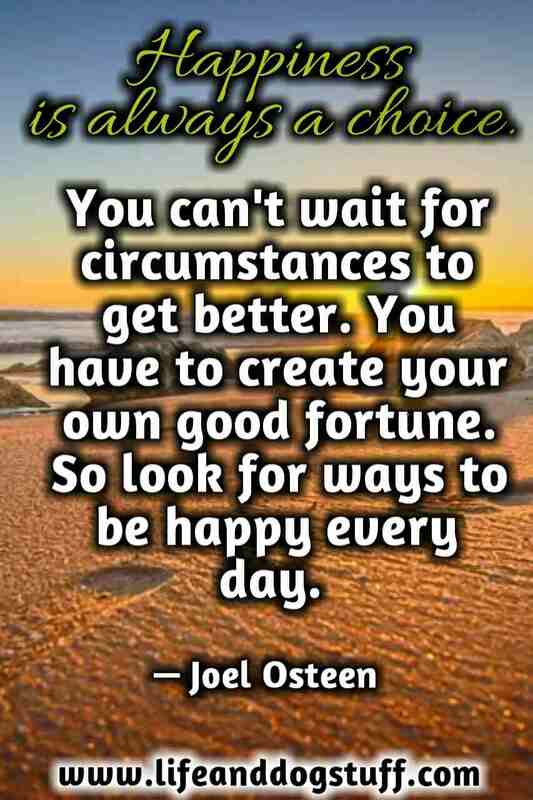 It's not about sitting idle and hoping things will get better. You have to be proactive and work on improving. For me, it opened my eyes and I started to see things that helped me on my new path. I approached my depression as a problem that needs solving. I love puzzles and I thought why not solve this mystery. It took a lot of research and experimenting. I tried everything self-help had to offer. If my issue was all in my head, then I owed it to myself to fix it. Some people go to therapy, but I had a big wall surrounding me. Not even my own family knew how much pain I was really in. They loved me the best way they could. It's hard to love someone with a wall around them. It felt safe inside my walls, but extremely lonely. My thinking at that time was nothing could be worse than how I'm feeling right now. I jumped into the deep end and didn't care if I was going to drown. 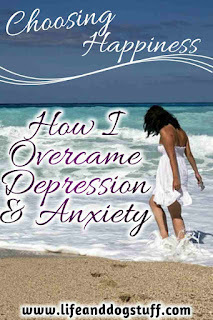 I wanted to know the answer to the question, "How do I stop constant negative thoughts?". That's when I started to learn how to meditate (read) because I needed to quiet my mind and the thoughts that were consuming me. Meditation helped a bit to control my thoughts but thoughts can't be completely stopped. It felt like trying to stop a snowball from rolling downhill. I kept at it, practiced dodging the snowballs until I got better and felt ready to move on to something else. Meditating made me realize that there were parts of my mind that were inaccessible and my question changed to, "How do I access the subconscious mind?". Next, I looked at subconscious reprogramming. I tried NLP (Neuro-linguistic programming) and tapping methodologies like EFT(Emotional freedom technique), Metaphysical anatomy exercises and finally Faster EFT (My depression cure). Luckily I didn't drown. You can look up all these things if you want. I won't go into detail right now otherwise we'll be here all day. I'll write about them in future posts. These tools are all super effective. They tap into the subconscious mind. I use them for my anxiety issues and to release negative thoughts and emotions. Faster Eft was the answer to my question. I can only describe it as something that made the snowballs disappear. I had no need to meditate anymore because nothing was coming at me. Finally, my mind was quiet. My solution might not be the answer to your question because we are all wired a bit differently. But if you're like me, testing possible solutions for depression is a must. Don't be afraid to experiment. Learn as much as you can and know the best way to learn is by practicing. Different things work for different people but underneath it all, we're all the same. You'll need to be open to change if you want to use these tools, otherwise, nothing will shift. You have to be willing to let go of your identity that you've clung too for so long. You know the story that drives you. I was the scared little weird ugly girl that no one will ever love. For some reason, it was comforting being that person. I guess it gave me an excuse not to live my life. My story changed. That girl is dead. I buried her. When I was done, I felt numb. I was not sad anymore, but I was not happy either. I was still me, but different. I didn't carry my baggage anymore. I felt light as a feather. Who was I without my story? The story that played over and over in my head. The story that made me sad. I still remember the story, but it does not rule my life like before. Know that I'm not telling you my story to make you feel sorry for me or sad. I came through all of this. I need to make people aware that change is possible, you just have to be willing to change. 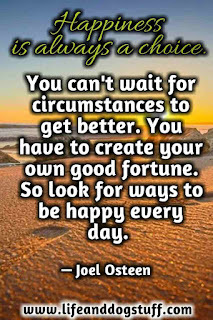 Yes, some things we can't change, but we can change our attitude towards something. I found out a few months ago that the numbness was just a clean slate and I had to fill the space. So I did. I then started my blog and realized how much I really changed through my words. I never knew I could write and I'm still not sure how I'm doing all of this. My head is open and filled with ideas where before there was just a fog. My mind is clear of negative thoughts and if any pop in I know how to get rid of them. I started a self-discovery journey because I had no idea who I was. Not a clue. The more I got to know myself, the more I had to find ways to accept the things about me that I can't change and I'm working on the things that I can. I'm flawed. But that's ok now. On my way, I wanted to find my purpose. Why do I exist? Why are we all here? A spiritual journey began. Something unexpected happened. I found God. Believing in a higher power is important. It's an anchor in this life so that you don't just float around. I'm a Christian, but because life was hard I stopped believing. Like most people that live a life filled with sadness. I refused to accept that I was meant to live a miserable life. God was not responsible for my life. I was. For a long time, I was a spectator in my life. Watching and waiting for things to miraculously change by themselves. I was responsible for making the changes. I had to dig myself out of my hole. God helped me by showing me signs. I remember praying one night and asking God to help me find peace. I was tired of being tired and sad all the time. Then I woke up. Not from a dream but from the reality I was in. I sad miserable place that I never want to see again. He showed me my path. I could only see that He was helping me then when I started my spiritual journey. Before that, I did not give it a second thought. That prayer came from a place of hopelessness. He answered and I couldn't even see. I had to meet Him halfway. I had to be open to accept His help. That prayer, that night was when I decided to turn my life around. He gave me the strength to do it. I thought happiness was a family of my own, a job I loved, a beautiful house and car. I only got the beautiful car out of all those things. I might get the other things one day, but I was not going to let not having them make me unhappy anymore. It did for a very long time and I was done. I always hear people say if only I have this or that then I'll be happy. No! That's like chasing the end of a rainbow. I know now my happiness was not that. It was accepting myself. I just had to love me. I armed myself with tools to help with the process because it was difficult. My outside reality changed after that and everything else just fell into place. Now I have my two beautiful furbabies that fill my days with love and joy. I have my family's love and support. I can actually talk to them now. I have my best friend who is my rock and helps me grow every day. I have these words that I hope will touch people's lives and be here long after I'm gone. I have my mind that's curious and always looking for solutions. I have my health back. I have hope. Something that I didn't know I could have. I now refuse to let anything bad into my life. People from my past came knocking and I send them on their way. My life consists of only the things I love. If I feel the need to add, then I do it slowly. It might seem like a dull boring life but it's mine and I'm happy with it. Everyone has their own idea of happiness. Mine is a quiet peaceful life. We should not just accept life as is. We all have choices. Choose to be happy if you're miserable and don't worry if you don't know how to be happy yet. Just choosing it will change your path. Fill your life with happy things and get rid of the bad things. Especially the bad people. Someone will show you over and over who they really are. Sure they might have their moments, but if they don't inspire you to change, hurt you and only bring you down, then its time to move on. It's up to you to decide if you want to sink with the ship or swim to the shore. They can rejoin your life once they showed you they've changed. Not before then. Don't wait around for them to change. Yes, I have down days. But now I know they are temporary. Not like before, when they were never-ending. I have hormones, so it's not possible to be happy all the time. 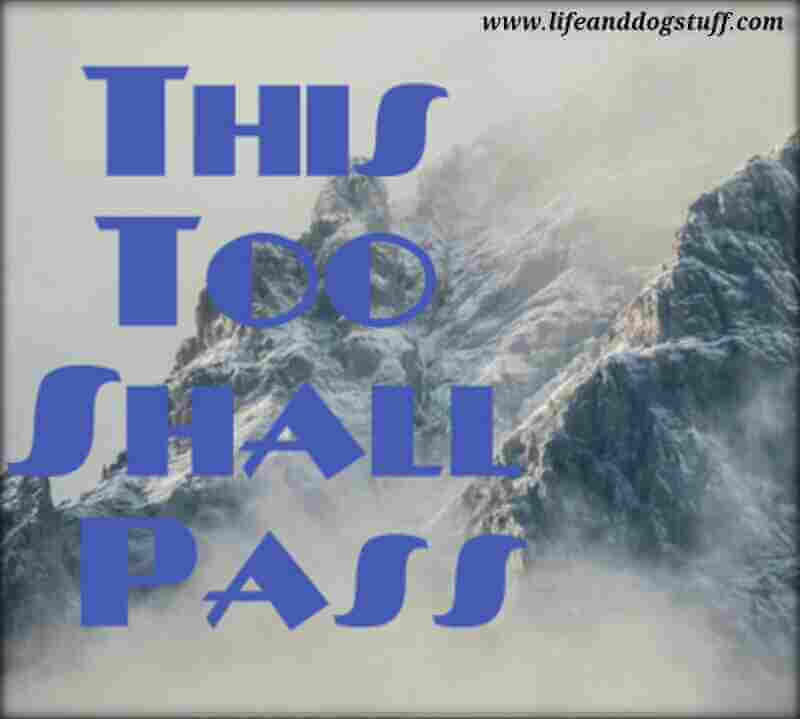 "This too shall pass" is one of my favorite sayings. I say it often. It reminds me that nothing is static. 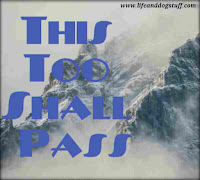 Things pass. Today I might feel blue, tomorrow I will feel happier. Fact! That saying anchors me. I filled my life with anchors. Find your anchors. Find your happiness. I think chosing happiness is the first step. It's not an easy journey but with a positive attitude you'll succeed. Make sure you accept any help that's offered. Yes Captain. The journey is hard. But it's worth it if life gets better. I'm sorry that you went through all of that. Doctors are not always helpful. God will continue to help you. Thanks you Susan Clark. Physically I feel better than I did before. Just when you deal with a thyroid issue it controls the hormones and energy processes of the body. My blood keeps testing normal. So when the hormones started to spin out of control and made me depressed I had to look into alternative healing methods to help control my depression, because no doctor will prescribe meds if they see there's no problem with blood test. I need to get it checked out again. But it will probably be normal again. You covered some really good principles in this one. The crux on most 12-step programs is “I have a Choice.” Rather than being a “victim” you realized it was your responsibility to do something and that no one was going to simply do it all for you. The might help, but only you can do it. Good for you! I wish I would have learned all this when I was much younger!! I had a lot of depressed years. Luckily I managed to squeeze some fun out of them anyway. Thanks so much Paul. Your comments are always appreciated. We can do nothing about those depressed years. But the path forward can be better. Yes it was up to me. I played victim for way too long. You went through so much, Renza. I am sorry for all those things that happened to you. However, as cliche as it sounds, you are a stronger person. Meditation has also helped you develop your faith as well. I have been truly blessed to know someone like you. you have a beautiful heart keep going like this never give up believe in yourself. believe in god. may god bless you with every happiness. have a blessed life ahead. love.. Even some of the healthiest and wealthiest people lead miserable lives. It all comes down to attitude, and being appreciative, You have the right attitude! Wonderful post! "I remember praying one night and asking God to help me find peace. I was tired of being tired and sad all the time. Then I woke up. Not from a dream but from the reality I was in. I sad miserable place that I never want to see again. He showed me my path." This encouraged me because it let me know that if God did it for you he can do it for me. This is absolutely amazing. Your journey of self-discovery is inspirational, and your writing beautiful. .. .